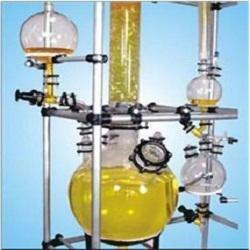 We are a customer-focused enterprise that aims at offering a commendable range of Glass Distillation Unit, which is designed and made utilizing high quality glass. 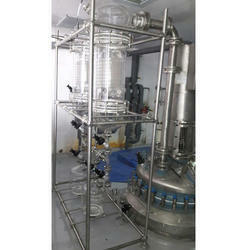 The unit is highly used in several industrial purposes, bio-tech sector, pharmaceutical industry and medical research. The Unit has been designed to suit the customers requirement of combination of versatile reaction/distillation or combination for pilot plant work.This has a flexibility of working at atmospheric pressure as well as under vacuum.